The story of an all-female caving expedition gone horribly wrong, The Descent (2005) is arguably the best of the mid-2000s horror entries to return verve and intensity to the genre. Unlike its peers (Saw , Hostel , etc. ), The Descent was both commercially and critically popular, providing a genuine version of what other films could only produce as pastiche. For Mark Kermode, writing in the Observer, it was "one of the best British horror films of recent years," and Derek Elley in Variety described it as "an object lesson in making a tightly-budgeted, no-star horror pic." Time Out's critic praised "this fiercely entertaining British horror movie;" while Rolling Stone's Peter Travers warned prospective viewers to "prepare to be scared senseless." Emphasizing female characters and camaraderie, The Descent is an ideal springboard for discussing underexplored horror themes: the genre's engagement with the lure of the archaic; the idea of birth as the foundational human trauma and its implications for horror film criticism; and the use of provisional worldviews, or "rubber realities," in horror. Buy The Descent by James Marriott from Australia's Online Independent Bookstore, Boomerang Books. James Marriott is the author of the Virgin Film Guide to Horror Films and coauthor, with Kim Newman, of Horror! 333 Films to Scare You to Death. 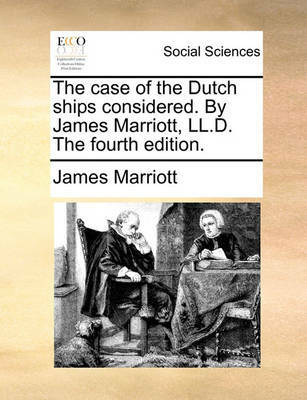 The Case of the Dutch Ships Considered. 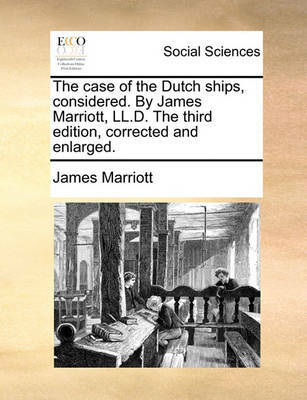 by James Marriott, LL.D. the Fourth Edition. 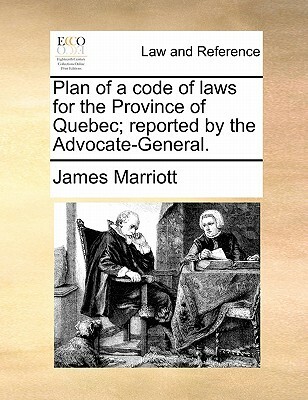 Plan of a Code of Laws for the Province of Quebec; Reported by the Advocate-General. 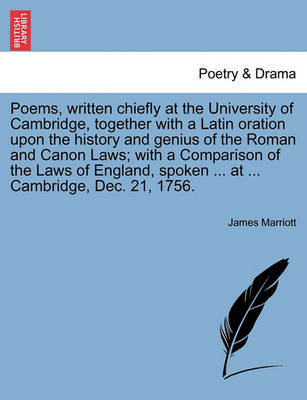 Poems, Written Chiefly at the University of Cambridge, Together with a Latin Oration Upon the History and Genius of the Roman and Canon Laws; With a Comparison of the Laws of England, Spoken ... at ... Cambridge, Dec. 21, 1756.